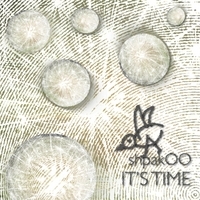 “It’s time …“ is a short glimpse at shpakOO's repertoire of instrumental compositions. The music ranges from electronic and out-of-this-world, to acoustic and familiar. ShpakOO's style fuses jazz and classical music to create a unique blend of rich harmonies interrupted by an occasional dissonance. Elaborate rhythmical structure and syncopation shape shpakOO's musical themes. The instrumentation includes pianos, choral and orchestral sounds as well as electronic synths and effects. Each composition tells a short story. Now, whether or not shpakOO was reminiscing on his uprooting and the subsequent sojourn across the ocean (If I Could Only Go Back), or tried to play You a picture of a crazy dream he had at 2am one night, it all does not matter, as this music is here for Your enjoyment, and to help You unwind the universe of Your own imagination. ShpakOO loves listening to these compositions through his gigantic headphones at home, or blasting them out of his car while taking a drive down the interstate. ShpakOO guarantees that every time You listen to this CD, You will discover something new. Although the order of the compositions on this CD is not chronological, this set was compiled from shpakOO's original compositions created between 1999 and 2009. Big thanks go to Kasia, Ania, 1c, Damon, Lil'bro Luke, Mom and Dad and everyone at Stalowa; for inspiration, warmth, keeping in touch, patience, sometimes well-deserved loss of patience, but always lots of love every time shpakOO needed it.